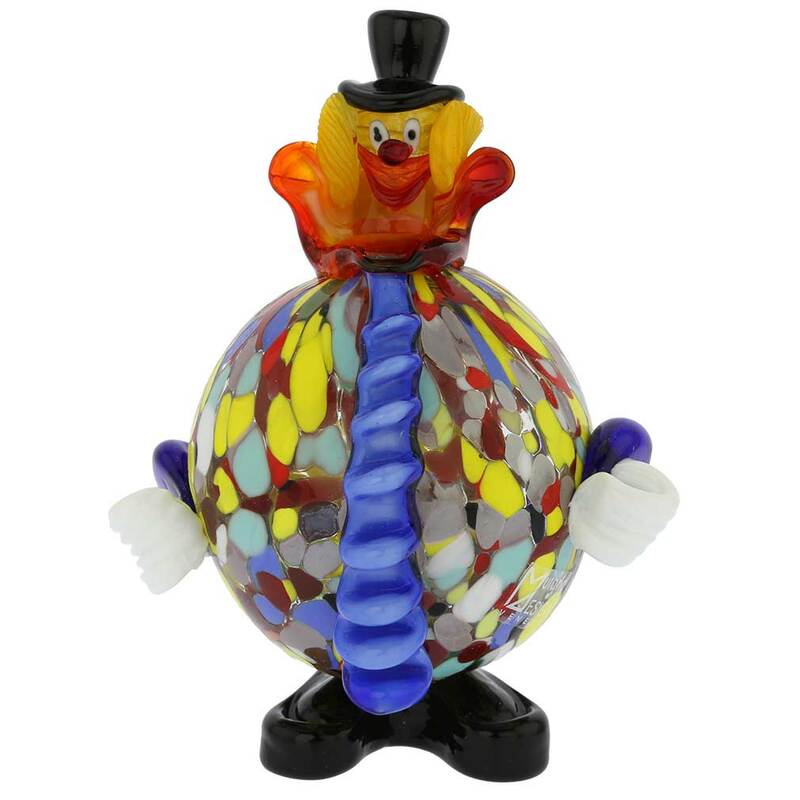 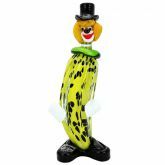 This handcrafted colorful Murano Glass Clown figurine is made in the famous kilns of Murano Island's best glassworks, which have been creating beautiful artistic glass for centuries. 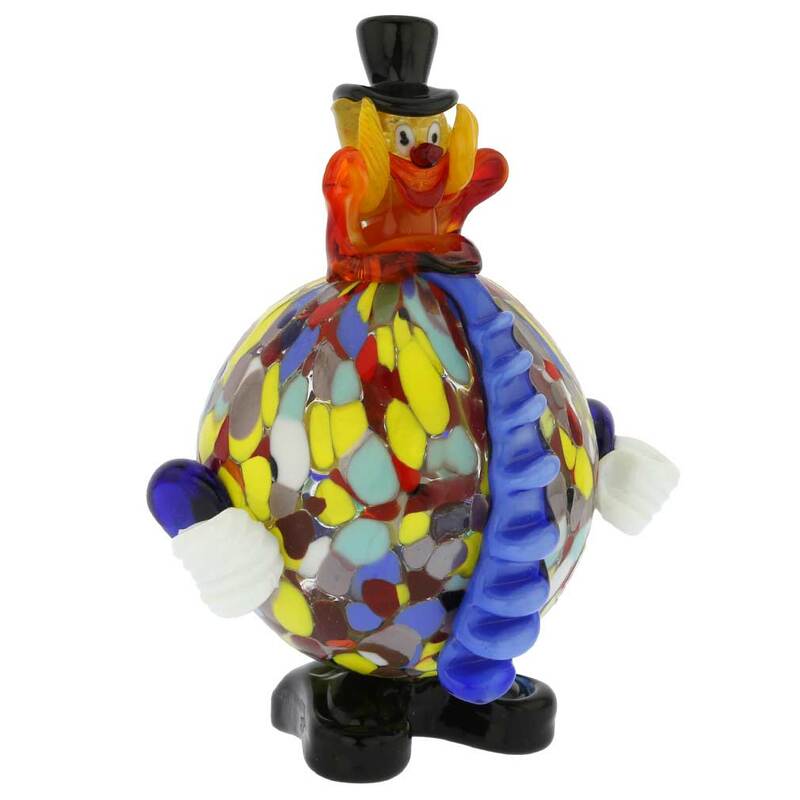 With its whimsical shape, bright Millefiori costume, large red collar, black top hat, and a big smile, this Venetian glass clown reminds us of the childhood and the magical circus performances we so eagerly anticipated back then. 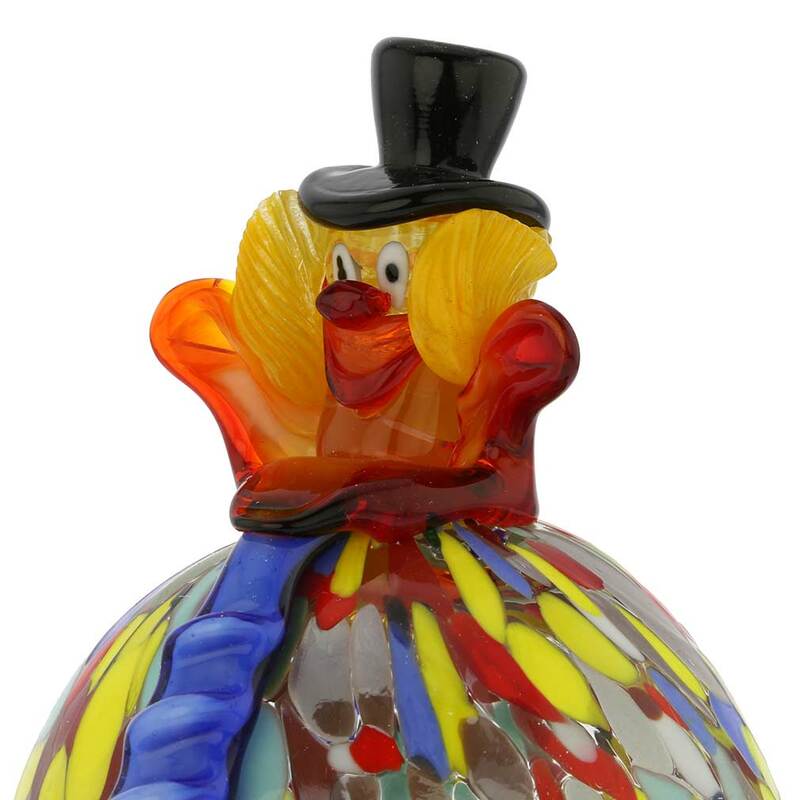 Classic Clown sculptures like this one have been crafted on Murano for over a century and are sought by Murano Art Glass aficionados and collectors worldwide. 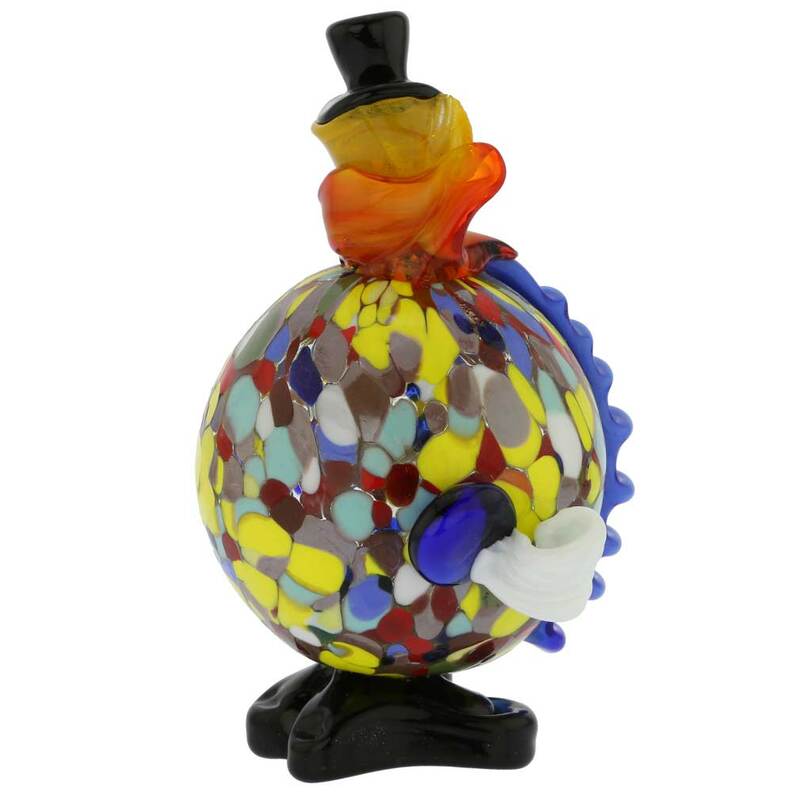 And it's no wonder - the exquisite forms, elaborate details, and the rich splash of colors that never fade showcase the skill and talent of Venetian artisans like few other pieces can. 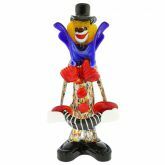 Measurements: This clown measures 6 1/2 inches in height and 4 1/2 inches in diameter of the body. 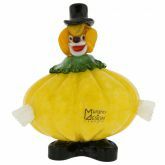 The clown is very well packaged to ensure safe shipping. 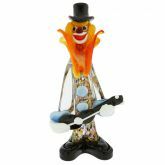 This is 100% authentic handmade Murano Glass Figurine. 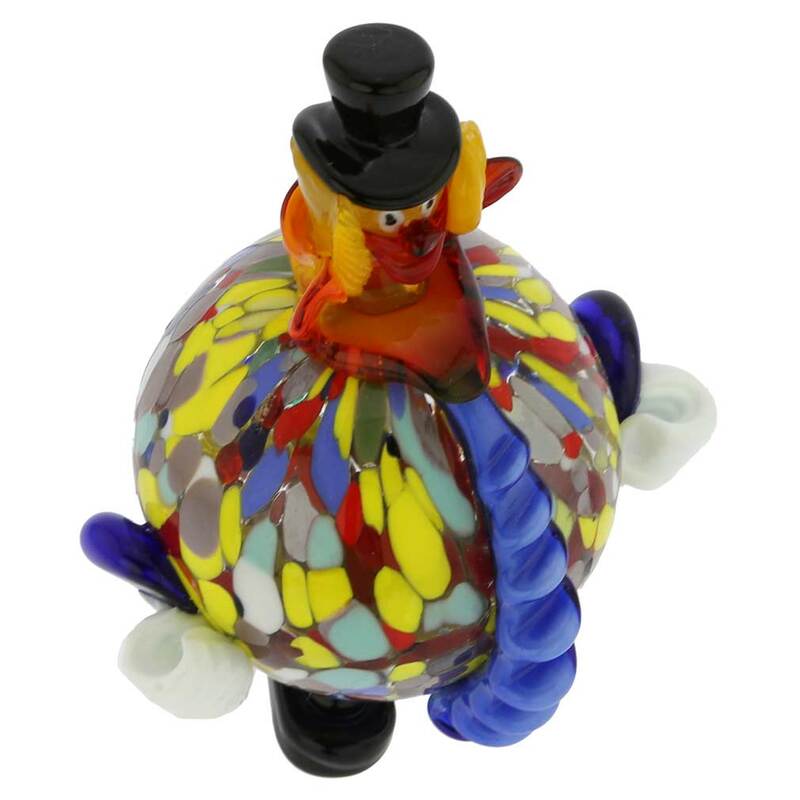 It comes with Murano Glass original sticker and the certificate of authenticity. 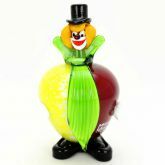 There is a signature of the master artisan on the bottom. 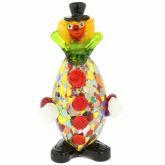 Since this Murano Clown sculpture is a unique piece of art made entirely by hand, small variations of colors and shapes, as well as random bubbles inside glass are possible. 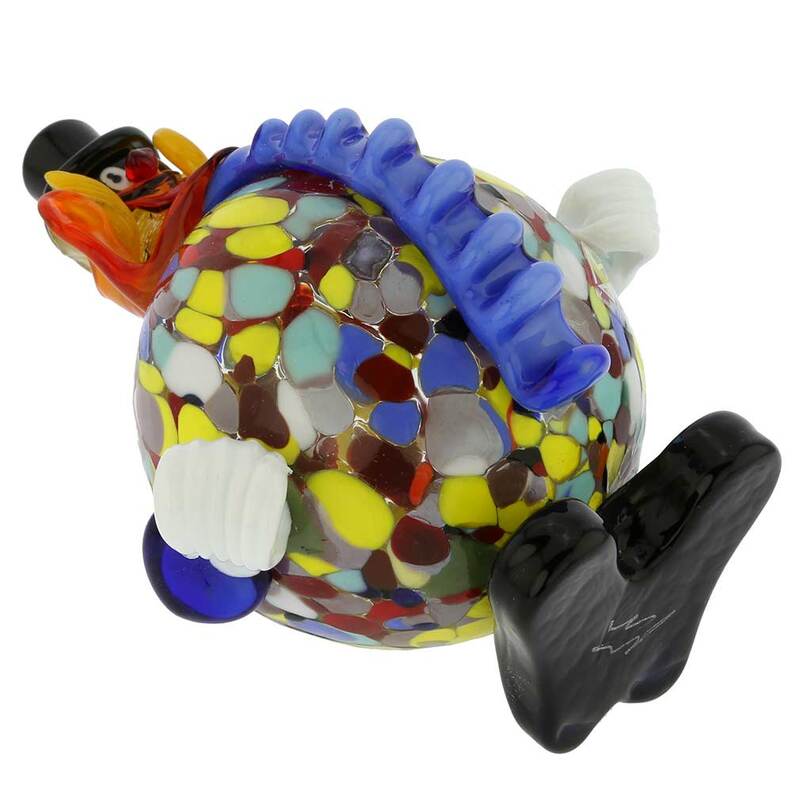 These are not defects but the very signs by which you can recognize authentic Murano Glass.